2 to 5 years. Fast-track options available. This FASEA-approved online Master of Financial Planning course from Kaplan Professional can take your finance career to new heights. If you’re a financial adviser looking to upskill and work towards a professional designation, or a professional from a different field looking to move into financial planning, this course presents an ideal pathway. This purpose-built, AQF level 9 degree is the highest attainable financial planning qualification and has been designed and developed in consultation with industry experts. Combining practical, performance-focused learning outcomes with advanced technical knowledge and skills, it’s a highly specialised degree that can take you to the top. You’ll develop a comprehensive understanding of key subject areas, including financial markets and products, investments, risk management, financial planning, taxation law and strategies, compliance and ethical conduct. If you’re keen to progress towards the Fellow Chartered Financial Practitioner or Certified Financial Planner designation, or hold a Chartered Accountant, Chartered Professional Accountant, Chartered Financial Analyst or similar designation and are keen to build on your existing knowledge base and work in broader or more specific financial planning positions, this degree can take you there. An unrelated Undergraduate Degree or Graduate Diploma plus 2 years' related industry experience. Upon successful completion of this course, you will graduate with a Master of Financial Planning from Kaplan Professional. Critique strategies that contribute to the advancement of financial planning as a profession. Graduates will have attained the highest industry qualification and work towards a professional designation. Professionals from other fields looking to move into financial planning will also achieve RG 146 compliance and progress towards the Fellow Chartered Financial Practitioner or Certified Financial Planner designations. Those with Chartered Accountant, Chartered Professional Accountant, Certified Financial Planner, Global Accounting Allowance or other accreditations will have developed further capacity to work in broader and more specific financial planning positions. The full fee for this course is $28,800 which equates to $2,400 per subject. 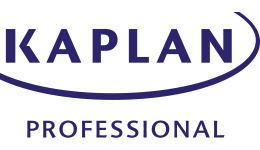 When you study at Kaplan Professional, you pay as you go. So, you only need to pay for the subjects you intend to study each study period.